As he walks home dejectedly, he begins singing this song again to himself as some sort of defense mechanism and buildup for the next time. Cinnamon is a pretty hot name for a 60’s suburban teenage girl, maybe even superior to Mercedes(Heather Graham) as the love interest of Corey Haim in the 1980’s film, License to Drive. I definitely empathize with the protagonist of this sexually charged song. 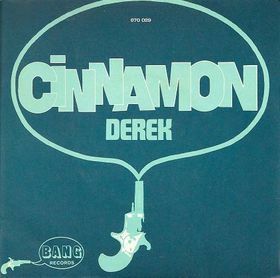 “Cinnamon” by Derek is one of my favorite jams of the 1960s. The lyrics are stalkerish and would trigger most millennials, but it remains to be seen whether it’s a dangerously creepy song or merely a pathetically creepy one. It’s a line fine line we walk. Take a chance and dance around it with us.